You can often save hundreds of pounds per year by getting a low-cost SIM card for your mobile phone. We compare the UK’s best value smartphone SIM-only deals. A great way to save money on your mobile phone bill is to change your tariff to a SIM-only deal. Compared to a normal mobile contract, you can usually save hundreds of pounds per year whilst keeping the same phone number as before. You’ll also get lots of flexibility with the choice of either a 1-month or 12-month contract. In this article, we’ll review and compare the UK’s best value smartphone SIM-only deals. We’ll compare SIM-only deals from 14 different mobile networks: from the big names like EE and O2, to lower-cost virtual network operators like giffgaff, iD Mobile, Plusnet and Smarty. 1 SIM Only Deals: How Do They Work? SIM Only Deals: How Do They Work? A SIM-only deal for your mobile phone gives you an monthly allowance of minutes, texts and mobile data. As SIM-only deals aren’t bundled with a handset, it’ll normally be cheaper and much more flexible switching to SIM-only. Typically, most people will be able to savshowe more than £100 per year switching from a normal mobile contract to a SIM-only deal. You’ll need to provide an unlocked smartphone to make the switch to SIM-only, and you’ll be able to keep your existing phone number with a PAC Code. 1. You’ll always get coverage from EE, O2, Three or Vodafone. The UK has only four coverage providers: all other mobile networks will piggyback on one of the four. When it comes to SIM-only deals, there are currently 14 mobile networks you’re able to choose from. While this appears to be fairly complicated at first glance, it’s worth being aware there are actually only four network coverage providers underlying all of the services. Using EE coverage: ASDA Mobile, BT Mobile, EE, Plusnet Mobile and Virgin Mobile. Using O2 coverage: giffgaff, O2, Sky Mobile and Tesco Mobile. Using Three coverage: iD Mobile, Smarty and Three. Using Vodafone coverage: Lebara Mobile and Vodafone. When using a virtual network operator, you’ll have access to the same signal as if you were using the underlying provider directly. To find out more and to compare the coverage in your area, please see our list of UK mobile phone coverage checker tools. 2. You can keep your current mobile number. It’s a straightforward process to keep your current phone number when moving to a SIM-only deal. If you’re changing mobile networks, you’ll need to obtain a PAC Code from your old mobile network. The process of transferring your phone number takes about one working day: our PAC Code Finder can walk you through the process one step at a time. 3. You might need to unlock your smartphone. If your smartphone was originally provided by another mobile network, it might be necessary for you to unlock it before you can use it on another network. 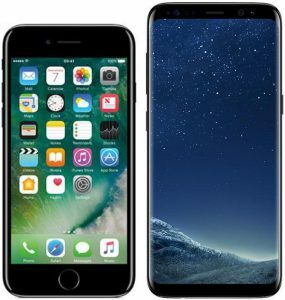 For more information about unlocking your handset, see our in-depth guides to unlocking an iPhone and unlocking a Samsung Galaxy smartphone. The most suitable SIM-only deal depends on your requirements: there isn’t a universal “best SIM-only deal” for everyone. In this section, we’ll outline some of our recommended SIM-only deals with a number of key features. If you want ultimate flexibility, without the need to undergo a credit check, our recommendation is to order a free SIM card from giffgaff. On giffgaff, you can get unlimited minutes, unlimited texts and 3GB of 4G internet for £10/month. This is increased automatically to 4GB per month once you’ve been on the tariff for 3 months. On giffgaff, there’s no need to sign any contracts so you can join or leave at any time. giffgaff also works on a pre-paid basis so there’s no need to undergo a credit check for the service. giffgaff is a low-cost sub-brand of O2 offering the same 2G, 3G and 4G coverage available to customers on O2. For more information, please see our in-depth review of giffgaff. 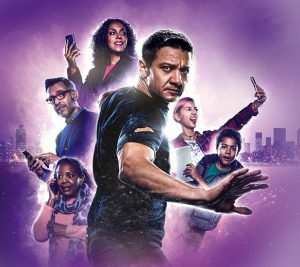 For families wanting a single combined bill for everybody’s usage, BT Mobile is our recommended network (specifically, their Family SIM offer). With Family SIM, households can have up to five SIM cards on one combined bill. Each SIM card has its own individual allowance along with a built-in spend cap to prevent unexpected out-of-allowance charges. Customers will get an online dashboard for managing their family’s spending, and will have the ability to delegate control on a SIM card-by-SIM card basis. There are also discounts available when multiple family members join BT Mobile, with the size of the discount rapidly increasing as more family members join. The following table shows the cost of your first BT Mobile SIM card, assuming you’re currently a BT Broadband customer. Additional Family SIM cards will come with a further discount on this price. For more information, please see our review of BT Mobile and the BT Family SIM offer. 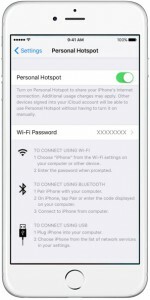 If you’d like to get your laptop or tablet connected on-the-go, it’s worth being aware that only certain mobile networks will allow you to tether and to share your data via a hotspot. Some lower-cost mobile networks like iD Mobile and Virgin Mobile prohibit the use of tethering on their network. Sometimes, certain plans are also excluded from tethering on some networks e.g. Three doesn’t allow you to tether on lower-cost Essential price plans. If you want access to the fastest 4G download speeds, EE is our recommended network for a new SIM-only deal. With EE, you’ll have access to double-speed 4G, and speeds of up to 60Mbps. For more information, see our guide to double-speed 4G and EE’s tariffs. For customers wanting inclusive international roaming in 71 destinations (including Europe, the USA, Australia, Brazil, Singapore and more), Three offers Feel At Home Around The World on their ‘Advanced’ Pay Monthly SIM cards. With Feel At Home, you can use your normal UK allowances at no extra cost when travelling abroad. On Three’s lower-cost Essential plans, Feel At Home is only available when you’re travelling in Europe. For more information, see our full review of the Feel At Home offer or Three’s official webpage. For customers wanting the peace of mind of unlimited data, there are currently suitable SIM-only deals available from giffgaff and Three. 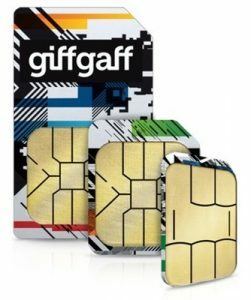 giffgaff has the cheapest available SIM card with unlimited data: just £20/month will get you Always-On data (unlimited downloads with 4G speeds on the first 9GB per month). Three has a higher entry-level price for all-you-can-eat data, but has no limits on 4G usage (subject to TrafficSense policies). For more information, please see our in-depth guide to unlimited data tariffs. In the UK, you can get a SIM-only deal for less than £5/month. If you’re looking for a super-cheap SIM-only deal, the cheapest options currently available on the market start from around £5/month. Typically, the best value SIM cards in this price range come from iD Mobile and Plusnet Mobile (both of them offer 1-month rolling contracts). For instance, iD Mobile offers 250 minutes, 5000 texts and 2.25GB of internet for £5/month. iD Mobile uses 3G & 4G coverage from Three while Plusnet Mobile offers 2G, 3G & 4G coverage from EE. iD Mobile is the own-brand mobile network from the Carphone Warehouse and Plusnet Mobile is the low-cost sub-brand of BT. The vast majority of SIM only deals start from £10/month. At the £10/month price point, there’s a huge variety of SIM-only deals. On a 1-month contract, some of the best value deals are available from giffgaff, iD Mobile and Smarty. Our recommended deal is giffgaff’s £10 goodybag which gives you unlimited minutes, unlimited texts and 3GB of data (plus an extra 1GB of free data once you’ve been a customer for 3 months). giffgaff uses coverage from O2, whereas iD Mobile and Smarty use coverage from Three. On a 12-month contract, the best value deals currently have a similar amount of data as on the 30-day contracts. However, you may be able to get additional benefits when choosing a 12-month plan. For instance, Three has an “Advanced” SIM-only deal with inclusive roaming in 71 destinations. Meanwhile, Vodafone offers a Basic SIM Only deal with unlimited calls, but usage is limited to inside the UK only. There are a wide variety of SIM-only deals to choose from at the £15/month price point. You can get a data allowance of up to 8GB per month, along with unlimited calling & unlimited texts on many mobile networks. One of the best deals at this price range is Smarty’s £15 Large tariff. You’ll get 8GB of data along with unlimited calls and unlimited texts, plus a discount every month for your unused data. At the £20/month price point, most mobile networks are offering unlimited calls and unlimited texts. You can also get huge amounts of data at this price point (e.g. 30GB of high-speed 4G data from Three). For unlimited downloads and greater flexibility, we’d recommend choosing giffgaff’s £20 goodybag. For £20/month, you’ll get unlimited minutes, unlimited texts and Always-On data. There’s no need to undergo a credit check for the service, and there are also no contracts to sign. For more information about the mobile networks listed in this article, please see our in-depth mobile network reviews. You may also find it helpful to read our guides on comparing mobile network coverage and how to transfer your phone number. If your smartphone was originally purchased from another network, you may also need to unlock it. Prices change on an occasional basis. For this reason, you should always double-check the details on the mobile network’s website before signing up to any deal. We'd love to hear your thoughts and any questions you may have. So far, we've received 114 comments from readers. You can add your own comment here. Hi,Ken,your website is excellent!It’s very helpful for me because it is difficult to understand the plans for mobile phones in the UK. I’m using 3’s Pay as you go currently.I think I want to move to monthly SIM-only deals. I’m interested in the following plans. I think Three is better if only the internet,and it’s not unnecessary to transfer. But If you think that there is any benefit in BT, please give me advice. BT(12-month contract) I’m a BT Broadband customer. Many thanks for your comment. You’re right in saying that Three offer a better value deal, and it’s probably the one I’d recommend here providing you can get good coverage from them. A potential benefit of choosing BT Mobile is you might live in an area with better coverage from BT/EE, or if you want to use BT’s other features (e.g. Family SIM). I really appreciate your message.I’m very sorry but I could not reply to you soon. I’ll decide to take Three’s plan. Many many thanks and have a nice spring time(It’s very cold today…..)! The Phone Co-op used to offer Pay As You Use, which was a post-pay tariff with a £2 per month standing charge without calls, texts or data. Data bundles were available, so one can be a really low call/text user but get high value data. As it wasn’t pay as you go you didn’t have to make a call every 90 days or whatever to keep it active. Clearly there would be a moderately low break even point with bundles that might start at £5 or thereabouts (I see you list iD Mobile with some at £3.99), but it was unique for really low users who don’t want to have to be pay as you go. I am on the Phone Co-op Pay As You Use and have never been able to find another provider with similar offering. Ken, do you know of one? Thanks for your comment. I’m afraid I don’t know of any other such hybrid offering. Is there a reason something like 1pMobile, O2’s Classic Pay As You Go or Three’s 321 tariff wouldn’t work here? On those tariffs, there’s no monthly standing charge and the prices are as low as 1p/minute, 1p/text and 1p/MB (3p/minute, 2p/text and 1p/MB on the offerings from O2 and Three). On 1pMobile, you’ll need to top-up your phone by at least £10 every 120 days (automatic top-up functionality is available for this if you desire). Meanwhile, O2 and Three have no such minimum top-up requirement (you just need to use your phone for a chargeable activity at least once every 180 days). I hope this message isn’t too long – I do like to go into detail. I intend to continue on the Phone Co-op’s Pay As You Use service; I was just wondering whether there are any other similar post-pay plans out there. I have looked but been unable to find. I was on Orange’s OVP Virgin for about 10 years until they scrapped it in 2013. As off-net calls were 35ppm, moving to Phone Co-op’s PAYU brought me up-to-date in respect of not paying a premium to ring other networks. Phone Co-op PAYU allows me use of call divert. While 7ppm calls aren’t as cheap as the other services you mentioned, I like it because it has per-second billing and a minimum call charge of only 1.2p (1p plus VAT). Also, there is the ability to add a large data bundle if required, something which other post-pay plans would require subscription to a plan that includes many calls and texts I don’t use. I prefer the Phone Co-op’s PAYU. I appreciate that for such service the operator will have the expense of a credit check, something which isn’t required for PAYG. It would also take on risk of bills not being paid, all for little return. This may be the reasons that other operators aren’t interested in offering a similar service – pay as you go with low call rates sufficiently fills this part of the market. I dislike the idea of pay as you go as it means having to pay in advance for use of service at some unknown times in the future. Also, it is usually not possible to obtain an itinerary of what charges were spent on and call divert is generally not available (I know some smaller MVNOs allow it). While unlikely, there is always the risk that the account could be closed because circumstances meant it wasn’t used within the 90, 180 days or whatever (or worse, the operator decided to change the terms and I didn’t find out until it was too late). A few years ago I had a Vodafone “Top-Up and Go” 3G dongle where the only requirement was one use every 6 months. This was excellent as my use pattern was irregular/occasional. I came to connect short of six months since I last used it and it wouldn’t work. It turned out that Vodafone had moved the goal posts and scrapped the plan – only I didn’t know. Perhaps an SMS was sent to my account but I wouldn’t have seen it because I never accessed it. The “new” plans meant some amount of data would have to be used within 30 days (I seem to recall), whereas before there was no such restriction. Lesson learned not to trust them (and, of course, phone service comes with additional risk, however unlikely, of loosing the associated telephone number if the provider shuts the account, whereas with a data-only service the number is of no importance). This saga left a very sour taste. To return to the subject of Phone Co-op PAYU, I like my phone to be available to make calls should needs arise and that I am billed for only those items at the end of the billing period. I am happy to pay a moderate standing charge of a pound or two in order to maintain the account. Excellent and very informative site. Thank you. Question: If I buy a phone with a dual sim can I switch my number to both sim cards? Many thanks for your comment. With a PAC Code, you’ll be able to transfer your phone number onto one of the SIM cards. You can place that SIM card into your dual-SIM phone, but each of your two SIM cards will have a different phone number (as opposed to both SIM cards having the same number). Your website is very informative, but no mention of Talk Talk SIM card deals. Many thanks for your comment. Unfortunately, TalkTalk Mobile is currently closed to new customers so this is why we haven’t included them in this guide. It’s expected the service will re-launch later in the year using coverage from O2. However, there are also rumours TalkTalk will try to phase it out so they can focus on their core home broadband/TV/home phone service instead. Watch this space! Help! I can’t be the only dinosaur left in the UK. I use a phone to make phone-calls and the occasional text. .
Talk mobile suited me down to the ground, but , sadly, Vodafone decided to shut it down. I did get a freeby (eventually!) to transfer to Voda. they are scandalously expensive for payg. Telepnone “help” is a joke, BUT they have opened a call-centre in Manchester…that works, they are English and understand the culture and don’t lose anything in the translation….5 minutes to sort -out a problem their foreign call – centre couldn’t resolve in 2 1/2 HOURS…..guess I won’t stay with them! What -about 1p? seems to fill my needs. PAYG, ancient (2g ) ? phone, cheap rate, long (4-months) active life for £10 credit- blocks. I’ll look again through your site but didn’t see that provider. next nearest for value appears to be ID, £3.50 a month is OK, but only 3G and newer phones. both deals appear to be better value than Asda……am I missing something? Great site, found you through Google. Found your review on 1p. by far the cheapest option on payg, if I read the small print correctly…..anyway, I’ve signed up. Hate contracts, as prices seem to be dropping daily in this now-mature market, where all providers seem to be desperate to flog their airtime. It wouldn’t surprise me to see a return of the reduced evening and weekend tariff -structure, in order to sweat their assets a little bit more. Many thanks for the feedback! As you said, 1pMobile is a Pay As You Go option so they’re listed in a separate part of the website from these Pay Monthly SIMs 🙂 I think 1p is a good option if you’re a fairly light user with occasional usage. Of course, you just need to keep an eye out for the 120-day requirement (so I recommend you either use auto-topup or you put something in the diary to top up your account every 3 months). Many thanks for the kind feedback! 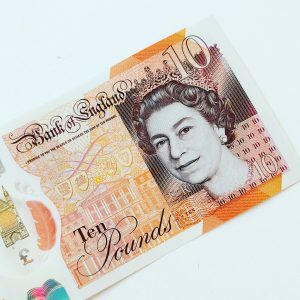 As a visitor to the UK, it’s worth being aware you’ll only be able to get a Pay As You Go deal. However, don’t despair, as you can get really good value on Pay As You Go as well. The reason you won’t be able to get a contract is because it will require you to pass a UK credit check. Ken missed out on a deal that EE is currently running that I switched to personally, 20 GB, unlimited calls and texts for £20 a month + 3 months BT sport app and apple music use. Thanks for the heads up about this! I am actually listing this in the table above, though it’s possibly a little bit confusing (the tariff is actually £19.99/month, so is listed the “From £15/month” section rather than “From £20/month” section). Definitely a great deal, especially if you get it with the voucher code offer! I’d have listed it up to the “£20/month” but this isn’t oliverstechtips.com haha! Also you have another EE offer for £19.99 for only 2GB which would only add to the confusion of whether that’s a typo. Anyhow, glad to be of assistance. I think this offer will only be valid for this month though, atleast that’s what I was told at the shop. This bundle’s regular price is £34.99. Keep doing what you do and have a good one. I’m coming to the UK for a 2 week holiday and need a PAYG Sim card for calls only – text and internet not necessary – but the number of options are many and most offer what I don’t need or want to pay for, so what do you suggest? Thanks for your comment. I’d recommend having a look at my article on free Pay As You Go SIM cards and on Pay As You Go bundles. With regards to the best value SIM card for phone calls, you’re probably best off getting a SIM card from Three. They charge 3p/minute so your £10 of credit should give you about 333 minutes of calling (slightly less if you also text or use mobile data). You can also get a Pay As You Go bundle from any other mobile network (typically, they all start from £10 for 30 days usage). anyways thats my story ,, your thoughts welcomed,,i also looked at lycamobile, great for getting the distance calls,, not best as what can see on international txts,, think tat can also be set up for Philippines contact from uk..
don’t think ill be the only 1 with a situation like this,, might thia be an add on for your page, with your own composition of course. Thanks for your comment. You might find it helpful to read my article on international calling (it compares the cost of making international phone calls from the UK). With regards to international texting, giffgaff and Tello are probably the cheapest (or even better, you can side-step these charges by using an instant messaging app such as WhatsApp or Facebook Messenger). With regards to the best all-round option, you’ll probably need to cross-reference the information on that page with the list of available bundles here. Alternatively, if you’re happy to make internet-based phone calls through Skype or WhatsApp, you can simply look at the best Pay As You Go deals and you can then consider international calling as a totally separate matter. When you’re abroad you can also call UK landlines and mobiles for 1p/min using WiFi and text UK mobiles for free. MTV and EE have a Pay as you Go sim in the market, called MTV Trax Sim – this has been in market since February and is available online (https://pages.mtvtrax.com/simorder) and is also in the retail space such as Carphone Warehouse (currently listed as CPW’s best PAYG deal), Sainsbury’s, Argos, WHSmith, Poundland, Primark and QVC. Please can you advise why it is not featured in teh price comparison table for £15/month? My extended family are all on T-Mobile. Now we want an emergency phone for our daughter when she starts travelling to school alone, so it makes sense to be on the same network. However all I can now find are EE pay-as-you-go SIMs which all expire in either 30 or 7 days. This means we’d end up paying minimum £52 per year for a phone that may only be used once a month and waste lots of credit. Have you got any suggestions on best way to get a PAYG SIM on EE/T-Mobile that doesn’t expire its credit so quickly? Thanks for your comment. Unfortunately, it’s no longer possible to get a new SIM card from T-Mobile as EE are trying to gradually move everyone over to their 4G network. If you want a good low-cost Pay As You Go SIM card offering the exact same coverage as what you’d get on T-Mobile, I’d recommend ordering a free SIM card from ASDA Mobile. They charge 8p/minute, 4p/text and 5p/MB. Also, your credit doesn’t expire providing you use the SIM card at least once every 270 days. I am looking for a sim for work I am traveling to Portugal for 1 month. I am looking for a sim with unlimited data that will work with my Huawei Mifi any suggestions and price guide? You’ll probably be best served by one of the local Portuguese mobile networks. However, take a look at my guide to using your smartphone in Europe: it will summarise the options you have with regards to roaming on a UK SIM card. Many thanks for helping the (ever growing, occasionally thirsty too) community with all sorts of questions and valuable advice with varied queries, issues puzzling the individuals concerned thus enabling them save time and expense. 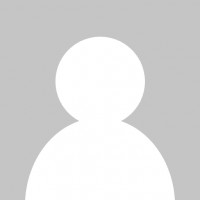 kindly advise me if my brother, who owns a sim free cell phone, probably locked into VIRGIN USA net work and who is visiting us in London, from the states – will or can somehow, be able to make use of this one of his phone, as just described above, here. Not sure if there is any help/facility available on line or else, to get it unlocked, I mean, this SIMFREE but limited to work with VIRGIN USA net work . Local Virgin store employee expressed his ignorance to offer any help, saying VIRGIN USA has nothing to do with us with virgin in UK. My brother has got 2 such phones and told me he can leave one here with me, for my usage as this seems to be quite a smart phone is another temptation for me to be writing to you. Anxiously looking forward to hear from you. Thanks for your comment. First of all, it’s worth double-checking whether the handset actually works with the network technology in the UK. As Virgin Mobile USA is a CDMA network, many of their handsets lack GSM/WCDMA support and there might not even be a SIM card slot for you to insert your own SIM card. Secondly, as previously mentioned, Virgin Mobile in the UK is a totally separate network to Virgin Mobile in the US. If the handset will work on UK-based networks, you’ll need to ask Virgin in the US to unlock the handset before you’re able to use it here. I have got a standard sim in my old phone and I’m thinking of getting a new one xperia E4 dual sim will my standard sim fit in it or will I need a different one can you help as I know nothing about sims. Thanks. Thanks for your comment. 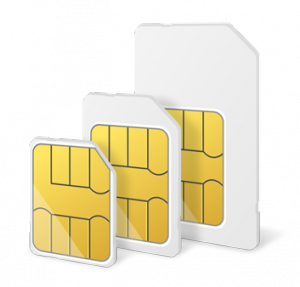 For more information on SIM card sizes, I recommend reading the guide I’ve written here. In short: the Xperia E4 requires micro-sized SIM cards. Hence, before you’re able to use your SIM card in it, you’ll need to get it replaced for a smaller-size micro-SIM (normally free). I am having excellent service using a 4g 6gb EE sim, on sale from many eBay sellers for £14.99. This gives 6gb of data, valid for 3 months from registering, though you have to top up to use voice or texts. Since I use it in a Tablet, it’s ideal for me, much cheaper than any monthly contract – I just have to get another sim at the end of the 3 month period, though of course this means a different number (not worth keeping the same number). I also use this in Europe, charge is £3.00 per day, (longer period deals available), so you need to top up before travelling. Hi. My current T-Mobile contract has just ended. I’m happy to keep my phone from that contract. 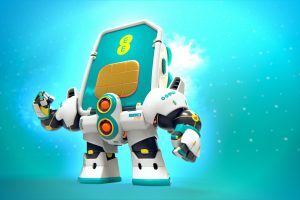 I’m interested in a 12 month sim only contract with EE. Mobiles Phone Direct are offering a potential £108 cashback on the EE Unlimited minutes tariff. Can I sign up with them and they ‘ugrade’ my number to the sim only? Or do I need to transfer my number away to a temp provider and then back to EE once I’ve signed up through Mobile Phone Direct? There doesn’t seem to be a clear notice anywhere about taking a third party sim only deal on the same network the number is currently on. Thanks for your comment. I recommend having a look at the comments on my blog post about moving a phone number from T-Mobile to EE. In short, I believe it should be possible to transfer your phone number from a T-Mobile SIM card onto an EE SIM card. Sometimes, EE isn’t so happy when customers do this (it means they need to pay another new customer commission to a third-party company such as Mobile Phones Direct) but there’s nothing which actually stops them from being able to do it. We are visiting UK and Ireland for 18 days. Basically we need sim for local calls covering UK and Ireland, text messages and internet purposes. I have a handset of Samsung S3 mini with regular/standard sim card. Please advice us on the best package/network operator for our requirement. Thanks for your comment. 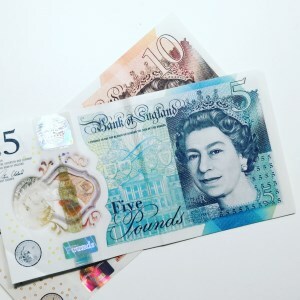 As a visitor to the UK, you’ll need to choose a Pay As You Go tariff (the Pay Monthly deals listed on this page require a credit check and are only suitable for long-term residents in the UK). As you’re planning to visit both the UK and Ireland, I recommend choosing a Pay As You Go SIM card from Three. With Feel At Home, you can use your allowances when travelling in Ireland as well as when you’re in the UK. You’ll need to buy an All-in-One bundle to take advantage of the offer. Also, please be aware that it doesn’t include calls to an Irish phone number (you’ll pay an extra 16.6p/minute for these when travelling in Ireland). For this reason, it will probably be worth adding a bit of extra credit to your SIM card to cover the extra calls. Hi- I am a Brit who has lived abroad for quite some time now, but looks like I will be back in UK for 8 months pa for next few years. I am keen to get a SIM only contract in UK that will offer me the cheapest all in fees for calling both UK and France. Been looking in to this for a while, but find that UK mobile operators offer great terms on Brits calling home from abroad but not calling Europe from UK. 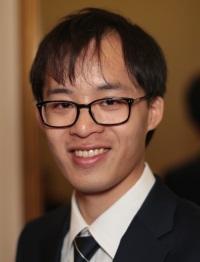 Do you know of any good tariffs available from the main players? Thanks for your comment. If you’re likely to call abroad fairly often, you’re probably best off getting a specialist SIM card for international calls. The best deal for calling France would probably be giffgaff (you can order a free SIM card here): they charge 5p/minute to mobiles in France and 2p/minute to landlines in France. On the major networks, there are a couple of deals for regular international calling. They do, however, tend to be fairly expensive. One deal worth looking at is O2’s International Favourites. For an extra £10/month above the cost of your normal plan, you get 3000 minutes to landlines in France and 100 minutes to mobiles in France. Crucially, you’re only allowed to nominate 3 numbers to use with the service. One benefit is you can get a ‘Call Me’ number in France. Your friends in France could call this number and the phone call will be routed to your UK mobile at no extra charge. For greater flexibility, Three offers 3000 international minutes for an £15.32/month. For France, it can only be used for calling a landline and there isn’t a ‘Call Me’ included. At the moment i am using tesco PAYG,where everybody and next doors dog know my number, this is my only phone contact i do not have a landline number. and a laptop using a dongle and a sim card which is on 3. The coverage on 3 in North West Wales,is not that good,but i am continually advised that it is going to improve….. i am still waiting. I am looking for either a one month rolling or 12 or 24 month contract,i would be looking at bringing my Tesco number with me. Is it possible to have a sim card in a phone and the same number and operator for the sim card in my dongle ? At the moment i am spending £15 for 30days internet,regardless of whether i use it or not. Thanks for a great site,what would we do without you. Thanks for your comment. Unfortunately, it’s not possible to have the same phone number on more than one SIM card. One way of using the same contract in your smartphone and for mobile broadband is to use a feature known as tethering. That way, you only need to pay for one contract (and you’ll only have one phone number). For more information, take a look at my article here for a review of the best tariffs with tethering included. Networks have hotspots so I can use my iPad from it thank you. Thanks for your comment. I believe you should be able to use tethering/portable wi-fi hotspot on EE, giffgaff, O2, Tesco, Three and Vodafone. You can also use tethering on TalkTalk Mobile (excludes the All-in SIM card) and ASDA Mobile/Co-op Mobile Pay As You Go. I am coming to an end with my monthly Vodafone contract. I want to switch to a free sim deal with Vodafone but can’t see one that suits my needs. I need a lot of data somewhere round the 2gb but don’t need a lot of texts and minutes and I would like to stay with Vodafone as my wife and daughter are with them. Any help? Also is giff gaff sims any good in the Wirral area? giffgaff would indeed be a good choice for you – it’ll be £12/month for 500 minutes, unlimited texts and 3GB of internet. You can order a free SIM card here. Unfortunately, there aren’t any deals for unlimited calling to Vodafone so you’ll need to use the inclusive minutes. With regards to your second question, giffgaff uses O2 as their network coverage provider. Hence, if you’d like to check the coverage in your area, you should use O2’s online coverage checker. I have been given an iphone5 by my sister. I would like to know can I get sim that is reasonably priced to cover uk and international calls especially to Ireland and uae? Thanks for your comment. For a low-cost SIM-only deal with competitive rates for calling abroad, I would probably recommend choosing a SIM card from giffgaff. They have some pretty competitive rates for calling in the UK (£10/month for 500 minutes, unlimited texts and 1GB of internet) and they’re also competitive for calling another country. You can see a full comparison of international calling rates here: giffgaff is cheapest for both Ireland and the UAE (8p/minute and 13p/minute when calling a mobile phone in the respective countries – 2p/minute and 12p/minute when calling a landline). As you’re going to use an iPhone 5, you’ll need to order a nano-sized SIM card. I’m curious why you don’t include “monthly sim only” bundles from other PAYG providers apart from the MVNO giffgaff ? In essence GTMobile, Vectone and Three amongst others offer monthly PAYG bundles that are not really any different to giffgaff which a PAYG only provider that offers bundles. Thanks for your comment. I actually have a complete page detailing and comparing the UK’s Pay As You Go bundles. They generally aren’t included on the page here as it would end up being incredibly long and confusing (there are also some fundamental differences between Pay Monthly SIM cards and Pay As You Go bundles). As you say, strictly speaking, giffgaff shouldn’t actually be listed on this page (they’re a Pay As You Go provider rather than Pay Monthly). The reason we’ve listed them is simply an editorial decision: most people compare them side-by-side with a Pay Monthly SIM card so it makes sense to also list them on this page. I read on forums that giffgaff is often promoted more because it pays at least £5 for a successful activation from a referral link and potentially more for continued spend following activation. Hence it’s pushed more by certain websites. Does your site receive payment in this way from all the providers you refer or just some? If just some which ones for transparency ? The pricing info shown above is also incorrect in that giffgaff’s open to all £18 goodybag increased in price to £20 recently. Also any thoughts on what will happen to giffgaff when Hutchison (Three) buy its parent Telefonica UK (O2 UK) ? Many websites do indeed push giffgaff more due to their referral scheme. For full disclosure, we’re a member of the giffgaff affiliate scheme (the website you’re reading is funded by advertising). To the best of our ability, we do try to ensure that advertising doesn’t affect the conclusions of our content. To that extent, we don’t limit inclusion only to companies who advertise on our website. We also use automated software which adds the advertising links only once articles are completed. You can find our full disclosure policy at this page. I think you find ken and i keep seeing it again and again that giffgaff is owned by Telefonica! This is the same parent company as o2! So when o2 is sold you’ll find giffgaff will not be sold with it! That’s if o2 do get sold! It’s not looking good for three as it drops the operators down from 4 to 3. BT’s buying of EE does not reduce the amount of oprators down from four to three as BT does not own a mobile network. Hope this clarifies a few things! Check giffgaffs page deffo telefonica and not o2 directly! According to this, giffgaff is 100% owned by Telefonica UK, which is itself a part of O2 Holdings Ltd. So giffgaff is actually considered a part of O2 (though nothing precludes them from spinning out giffgaff as a separate independent company before the Hutchinson takeover). Thanks for this! I’ve actually been asked several times about the LIFE Mobile network… it’s on the to-do list to review some time in the future! I have enjoyed finding out more about my mobile phone and will change to a Sim only deal now. I have an IPhone and spend 3/4 months each year in Thailand . At the moment ( on a fixed contract ) I dare not use my phone in Thailand. If I use Sim only and continue with EE will I be able to use it there without incurring huge costs ? Thanks for your comment. Unfortunately, there are still hefty charges if you want to use your UK SIM card abroad when travelling in Thailand. This is the case even with a SIM only contract. According to EE’s website, it’s £1.50/minute to make or receive a phone call in Thailand. It’s also 50p to send a text message and it’s £7.50/day for 10MB of internet. To save money, I strongly recommend you unlock your iPhone and you use a local SIM card from a network in Thailand. Thanks for your comment. The 30-day Pay As You Go data plans you refer to in your comment as known as Pay As You Go monthly bundles. If you want the internet without a monthly bundle, there are several options you’re able to choose from. The cheapest is probably Three’s 321 tariff (1p/MB when you access the internet, no expiry unless your SIM card is inactive for more than six months). You could also consider giffgaff Pay As You Go (20p/day for 20MB of internet, you only pay on the days where you actually use it). Thanks Ken for making it easy to evaluate what is best to suit individual needs. We plan to be in UK and Switzerland for 1 month and you made it so easy for us to decide that Three is the most suitable for us without having to trawl through the different sites to get the information. Keep it up. It is very much appreciated. Though this is SIM only deals – Tesco Mobile provide the Moto E and a couple of other handsets for the same price as SIM only deals – £7.50 a month. Admittedly it is a 24 month contract, but the price is almost the best possible, especially as you get a decent phone in the Moto E.
It would be even more useful if you could indicate which plans allow you to tether. I am sure I am not the only one who has a smart phone plus a tablet that does not have a SIM card slot. As I rely on the phone to provide Internet to the tablet when away from home tethering (or hot spot) is a “must have”. Hi David, the only plans which allow tethering up to the data limit you decide to purchase is EE. The other plans either prohibit tethering, only allow tethering up to a pre-defined data limit or, charge extra for tethering. Some of Three`s plans for example allow unlimited data to be used on a smartphone but they prohibit tethering in excess of 2GB data and you would probably need to enter into a contract with Three in order to tether. EE plans allow tethering at any time and this also applies to their pay as you go add ons. Whilst EE charge higher prices, I find them much more convenient for unrestricted tethering but it depends on how often you tether and your data use whilst tetherin. I would advise reading the terms and conditions of EE, Three and Vodafone. Thanks for this! You’re right: EE allows you to tether up to your monthly download limit. In addition, however, this is also possible on O2, Three and Vodafone SIM only contracts. For all-you-can-eat data plans on Three, there’s a 2GB limit on Pay Monthly plans with a new smartphone included and a 4GB limit on SIM only contracts. giffgaff also allows you to tether free of charge but only on the goodybags without unlimited data. Have you seen The People’s Operator Unlimited 30 day-SIM? Unlimited talk, text and data for just 14.99. Even though fair usage applies, still looks very good! Do you know if the one plan 12 month simonly contract on three will include 4g? Yep – the 12 month One Plan will include access to 4G (as will all of Three’s other plans). At £15/month for unlimited internet and 4G access, I think it’s a great deal! Sorry Ken, forgot to ask, what happens at the end of a 12 month sim only contract? Does it automatically renew for another 12months? Or, does it go onto rolling monthly basis? Thanks for your comment! The 12 month period refers to your minimum commitment. After the 12 months, your contract will continue as before though you’ll be able to leave at any time (essentially it becomes a rolling monthly contract). Doesnt EE also offer Deezer on its 4G plans? I know with Orange thr code also offers 2-1 main course at Pizza express is that carried over to EE? Also what about EE’s back up app thing and international plans? Tbh I find EE’s explainations confusing. Thanks for dropping in and leaving a comment! EE gives customers a free add-on but this is restricted to Pay Monthly plans of £41/month or more. As such, customers picking up an EE SIM Only deal won’t get free Deezer. With regards to 2 for 1 at Pizza Express, I’m not sure! The EE website makes no mention of it (however the Orange website advertises 2 for 1 pizza as part of the Orange Wednesday deal). It’s possible that pizza isn’t included with EE Film. I’ll see if I can get an official response from the guys at EE. Finally, EE Clone Phone is supposed to protect your phone and the data on it. All customers on 4GEE get 500MB of free cloud storage (fairly useless as you can get more from Google, Microsoft, etc). Everything else is a paid addition: phone insurance, phone tracking, etc. Thanks for the response. I can see EE riding the wave a bit longer and then adjusting their offerings again. Surely they have to unless they hope coverage wins hearts and minds alone? I dont want to sound too bold in asking but the reason Im with orange is due to the handsets they offer (exclusive atrix before tmobile got it) and as such would it be possible to compare handset offers? I think for example the lumia 625 is exclusive to O2 and Vodafone which if it hits the £200 P&G mark will be a killer 4G handset! I think EE have the ascent P2 exclusive atm and three seem to have the most “niche” products. Also got my BB curve on orange cause a similar contract on O2 cost me £10 a month more. Ultimately on 2 occasions my network was chosen by the handset. Your report today on SIM only deals says all four networks in UK use 800mhz but only Three and EE ALSO use 1800Mhz so check that your phone works. But when I look up the Samsing Galaxy S4 Mini spec it only says 4G LTE. Howe do I find the networks it is designed for? Thanks for getting in touch! You make a really good point – readers should refer to this page to see what frequencies each network is using. Your 4G phone will need to work on at least one of their 4G frequencies. Hence, it should work on any of the UK’s 4G networks. Your smartphone tips are as always, very informative, thank you. However, you haven’t mentioned the Virgin Media 30 Day SIM Only deal. 1200 minutes, unlimited texts and 1GB data for only £12 per month. I have recently signed up for this service which uses Orange and T-Mobile communications when it needs to. I will now save more than half of what I was paying on my last contract and get twice as much for my money. Great info and tips and thanks for highlighting the best deals. I personally like the essential Internet tarriff from Three, which I bought @ just £6.90/month. Thanks again. Do you know if this can be used in an iPhone (so long as I get the micro sim)? Ken you should mention that at the lower tariffs, H3G and Orange are charging for retrieving your voicemail. So on the H3G £6.90 tariff; you pay 10p for every voicemail you retrieve. This could be very expensive in the long run. Retrieve 5 voicemails a day and you add £15 to your monthly bill. Hi Ken – First class site! My only comment would be which packages offer per second billing? I spotted a fantastic sim only deal when I was looking for a new sim for myself. 3 Mobile have just bought out some new tariffs and thier cheapest is now only £6.90 a month for 200 minutes, 5000 texts and 500mb of internet. hi ken, why don't you include giffgaff in your comparison chart as you recommend it on your other pages? Tesco Mobile have some fantastic deals at the moment, if you visit the following link and select "30 Day SIM"
I'm coming to the end of the initial free usage of my iPhone 3GS and iPad1. You may call me a skinflint; I say I just want best value. Given my usage pattern, I like the '3' £5/month deal. Can I milk it any further by using Skype, which appears to be available on my phone, thus turning my calls into data? Also, would 3 let me turn the 3GS iPhone into a personal hotspot and could it then allow my iPad1 internet access by Bluetooth? I believe Skype is allowed on Three – yes. They used to advertise this as a feature of their network – though they haven't recently. Tethering is only allowed on The One Plan (£25/mo) AFAIK. I've prepared a guide which reviews each of the internet packages (The Basics, The All Rounder & The Works). Essentially you get a "Pay Monthly" mobile contract but one which doesn't come with a phone. It'll be a 1-month rolling contact or a 12 month contract. Because there is no phone included with the tariff, these tariffs are about £15/month to £20/month cheaper. Are you planning to update this analysis for the latest position? And include details for the very attractive virtual networks (such as giffgaff, Vectone, Tesco Mobile, etc.)? Specifically very interested in getting something with unlimited (or 1GB) internet, a large amounts of minutes (say 500 ish), free land lines with a PAYG or 30-day rolling contract, but most attractive package seen to date is giffgaff's. I also heard rumours that Tesco used to do £10 p/m unlimited internet, 5000 texts and 500 minutes – is this true? You need to update the information on Three's The One Plan – their Internet is completely unlimited in the pure dictionary definition. There are no catches or clauses, no FUPs or anything else. If your intention is to download the entire Internet then Three will not charge you a penny more for doing so! There is no speed throttling. It is, plain and simple, unlimited. 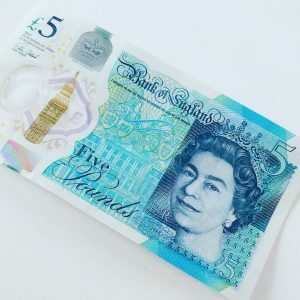 A recent "challenge" was run by another blogger who managed 46GB in two weeks and with zero £ charge for Internet usage on his bill – validation that Internet with them is really unlimited in the package. Thanks for getting in touch 🙂 Sorry for the oversight on this page… we had reviewed "all-you-can-eat data" back in January. The details on this page have been updated now. You can use any tariff on a smartphone but you are strongly recommended to use one with an inclusive internet allowance. Otherwise, you'll have huge data bills. All of the tariffs listed on this page come with an inclusive internet allowance. is it true that there are only certain tariffs you can use for smartphones? hi can any one help i have an unlocked blackberry curve 8900 i live 6 months in the UK and 6 months in Spain i want to know what is the best option for me i dont want to be tied to a contract when im not in the uk. Great post, thank you. I persuaded Three to double my allowance from 1GB to 2GB on their £15/month SIM only deal. Giffgaff may be cheaper but three's coverage in rural Scotland is unsurpassed. Tesco have £5 off sim only contracts until 6th or 10th October. 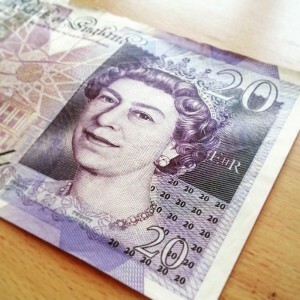 £10 = 500 min, 500 txt, 500MB. all on a 30 day contract. In-store only afaik. If one is considering the iPhone 4, a microSIM is required: so is there a good deal for a microSIM? I have an unlocked 3G iPhone and am looking at doing a sim only monthly contract with tesco, I need the data 500 mb would be enough and the calls and texts. But whenever I speak to tesco they say they haven't yet released a sim only for a iPhone? But you look on the website and they have sims on with data? I am also considering giff gaff, any thoughts? Does anyone know if Vodafone’s SIM-only for iPhone will work in an HTC Desire? Their online chatters say the SIM is incompatible, but is that technically bull? I have an unlocked HTC TyTNII with a t-mobile sim card on PAYG (mates rate). It was working fine until I upgraded TyTNN from Windows Mobile 6.0 to 6.5. Since then, although GRPS/3G are working, I can no longer connect to TomTom’s traffic downloads. I’m currently on the 3 network now- And I am extremely pleased with them. I get a signal virually everywhere, and 3 is the only network operator to provide 3g internet speeds where i go to school, and I live in rural dorset!! I’m actually planning on buying the Nexus one within the next few months, and am interested by rumors that 3 is trying to offer it from the google website. However, i digress. What I came here to ask was, with the 3 pay monthly-sim only, what exactly do they define as ‘unlimited’ ? The fair usage limit for Three is 1GB/mo. I’ve updated the article for clarification. Hey man, very good article. I’m thinking of changing now my 18 month O2 contract has run out but I’m worried about internet speed and GPS. I have an iphone 3G and was wondering if the GPS would still work on another network. I also heard that the internet on 3 might not be very good. What do you think? Make sure you unlock your iPhone (http://cow.neondragon.net/index.php/how-to-unlock-your-iphone-from-o2-and-orange) first before trying a 3 SIM card. Firstly, you can use the coverage checker on their website. With the SIM only deal, you can cancel after one month if speeds are slopw. Alternatively, you could test the internet speed on 3 in your area using a 3Pay (3 Pay As You Go) SIM card (http://cow.neondragon.net/index.php/threes-pay-as-you-go-offers-free-texts-150mb-internet-skype-windows-live). I'm in pretty much the same position. I'm moving to Giffgaff. They use the o2 network and for a £10 a month rolling contract they give 250 minutes, unlimited texts and unlimited 3g web. A no brainer! There's no such thing as unlimited if you get charged if you use too much. Costs outside allowance are very important.